Get Nature on your side with TreeWear's Hand Sanitizer. This Balanced Blend is packed with the power of Juniper Berry & Bergamot Essential Oils. It is designed to gently moisturize your hands whilst removing harmful bacteria from the skin's surface. 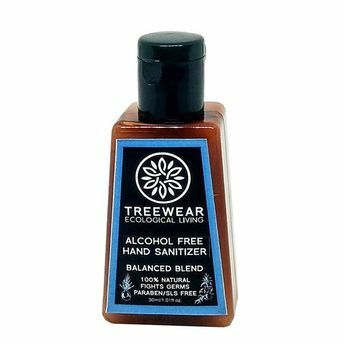 TreeWear have carefully chosen Essential Oils that have proven Anti-Bacterial, Anti-Fungal & Antiseptic properties, which when combined together to provide a perfect balance of fragrance & function. Explore the entire range of Hand Sanitizer available on Nykaa. Shop more TreeWear products here.You can browse through the complete world of TreeWear Hand Sanitizer .Alternatively, you can also find many more products from the TreeWear Natural Alcohol-free Hand Sanitizer - Balanced Blend range.